New Trend Among Princes To Marry Commoners? Recently the whole world was wondering if the scandalous wedding of Monaco’s Prince took place. Regardless of journalists hungering for sensation, Albert II married his fiancee – common woman from South Africa Charlene Wittstock. 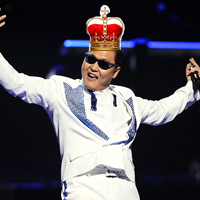 He became the second prince who DID it this year. The first “hero” was one of those men who any girl would marry in and outside the Europe – Prince William. His choice was also non-blue blood woman. Seems it’s a new trend among nobility to marry commoners. Who else did follow this path? Tessy Antony is a real Cinderella of the 21 century as a Prince Louis of Luxembourg gave up the throne for marrying her. They met in Kosovo where she was being on a mission and he just was making an official visit. Being the only woman in peacemaking mission, she charmed Prince Lois at once. Very soon the Royal Household was shattered by the information that the Prince of Luxembourg has a child born out of the wedlock. Despite all the attempts of persuasion, a 20-year-old prince neglected his family’s desire and abdicated from throne marrying Tess Antony. 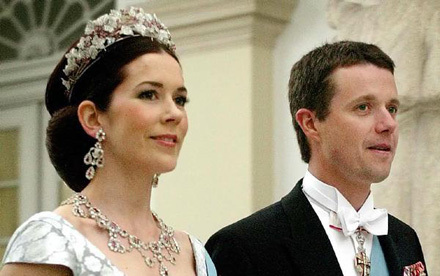 The Norwegian Prince‘s chosen one became a former waitress Mette-Marit with the dubious past. She has a natural child from her drug addict ex-boyfriend. Maybe Hakon Hakonsson likes bad girls so he denied his father and mother dissuasions. So, after Mette-Marit had “repented her sins”, the Royal family admitted Norwegian Prince choice. It was a real sensation that an incorrigible lady-killer Danish Prince Frederik Andre Henrik Christian would ever marry. Besides the most “weird” fact was his fiancee who turned out to be not a model (the Prince was known as a great amateur of celebrities and long-legged supermodels) but just a common woman from Australia Mary Donaldson. In this case, His and Her Majesty enthusiastically admitted candidacy of Mary Donaldson as they thought their son would choose “startling” superstar.